. : S w i f t t a l o n :.
.: s w i f t k i t :.
.: s w i f t p a w :. "I'm sorry. No matter what, I'd never kill for anybody. I'd rather face GalaxyClan!"
. : T O M - 4 5 / M O O N S - W A R R I O R :.
.: S N O W C L A N :.
.: A P P E A R A N C E :. 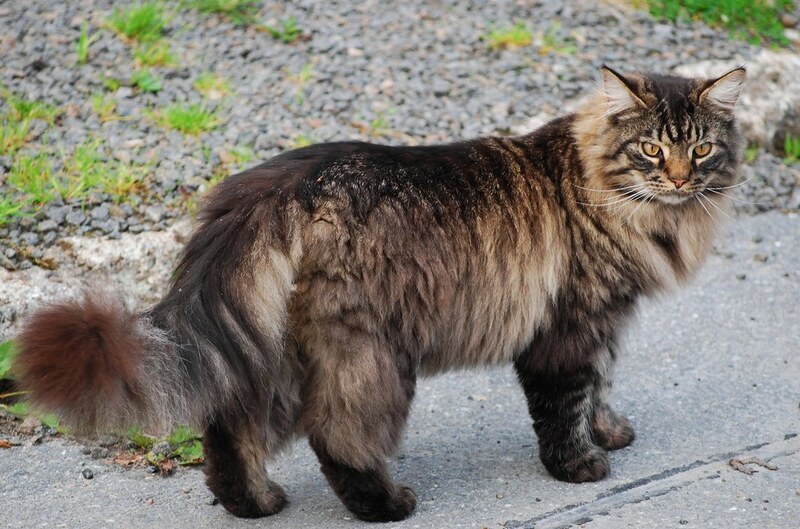 A large brown tabby tomcat with a very muscular frame. He has wide paws, broad shoulders, and thick, long fur. His undertones are cinnamon brown, otherwise, he has a darker cocoa coloured pelt. Swifttalon's eyes are a fiery amber colour, which can give an unsettling feeling to most cats. He has a torn left ear, but otherwise, most of his battle wounds are healed and don't leave any long-term signs.
.: P E R S O N A L I T Y :. Unlike his demeanour, Swifttalon is quite kind and softspoken. He would never take advantage of others and so tries to understand everything at the same time. He doesn't like fighting and is quite loyal, and because of this in disputes of any kind, he is torn between the two. This might be his downfall.
.: S K I L L S :.
.: F A M I L Y :.
.: H I S T O R Y :. Mintshine and Thrushface, two noble warriors of SnowClan had a litter of three kits. Swiftkit, Pinekit, and Leafkit. The kits were raised to learn how to be honourable and to protect their Clan with their lives. The kits often played rough games and were a nuisance to most warriors and apprentices trying to relax in camp when they could. When Swiftkit was young, due to his kind personality he adamantly refused to eat any prey when of age but learned that it was their way of living from his father. Swiftpaw was given the mentor, Berrywhisker, a strong and powerful tom who may have been a bit tough on Swiftpaw. However, over time, Swiftpaw learned how to keep up with his mentor, soon following in his steps once a warrior. Re: . : S w i f t t a l o n :.
.: C o m p l e t e :.